Today, the Hardened and Care Package editions of Black Ops 2 were announced. 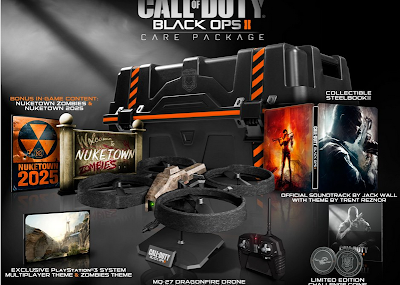 The Care Package Edition will include everything in the Hardened Edition, as well as a remote-controlled MQ-29 Dragonfire drone that you can fly around. Will there be a Hardened/Care Package edition for PC? Will the dragonfire be able to shoot Airsoft bullets? Does the dragonfire fligh very good or does it just hover like 10 feet of the ground? The weapon camo looks like the color of the care package. 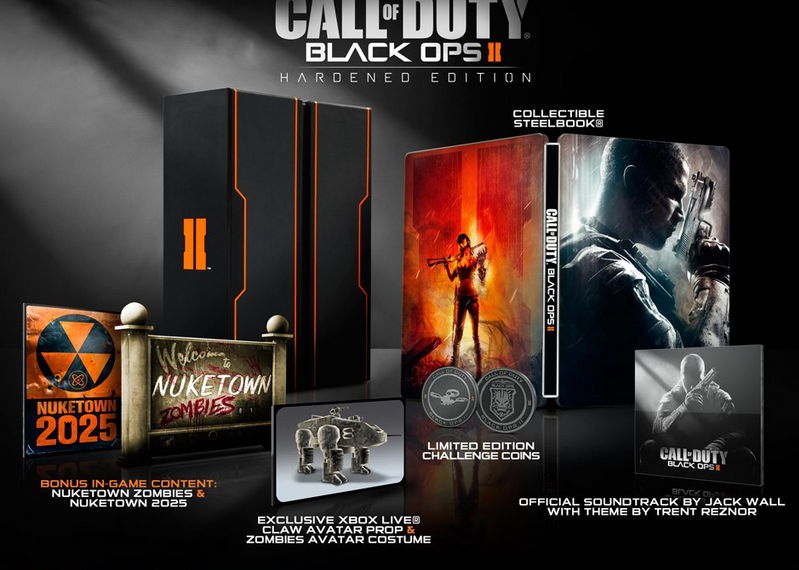 I got the hardened edition.